Consume more calories than you burn. Eat healthy food frequently- 3 larger meals and 3 smaller meals alternately. Exercise regularly for healthy weight gain. It keeps the metabolism high. How much will you gain? If you eat and sleep well, exercise carefully and use best muscle building supplements, you can expect to gain about 10-15lbs in 6-8 weeks. Supplements make certain that you gain weight quickly. They are a back up to an already good diet and training program. So, you require taking supplements as the finishing touch. Lunch: Chapatti/whole-grain bread, rice, green vegetables, paneer (cottage cheese), dal, chickpeas (chole), black-eyed beans (lobia), rajma, whole wheat pudding (dalia), etc. In-between meals: Fruits, sandwiches, yogurt (curd), milk, cheese, salad. Note: Avoid deep fried snacks like samosa, pakodas, bhujia and fast food, including donut. 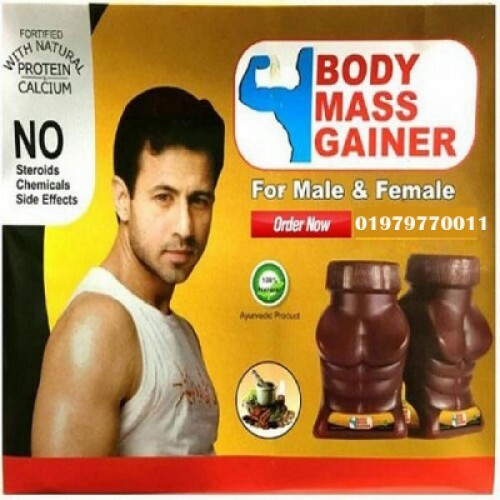 For children:- Blend 2 tsp of MassGainer or Muscle Builder with 1 banana in 250 ml of milk. For adults: – Blend 4-6 tsp of MassGainer or Muscle Builder with 2 bananas in 250 ml of milk. Note: For better results, add Protein & Fat rich food to your diet, like Dry Fruits, Rajma, Pulses, Paneer, Egg, Butter, Ghee, Banana Shake, Mango Shake etc. Protein rich food are sources of amino acids. You need enough amino acids during exercise otherwise the existing muscles may break down. How much should you weigh ?